Big Machines Parked In Orbit - Black Ops, Star Wars Or ET? Or All Of The Above? Black Ops, Star Wars Or ET? 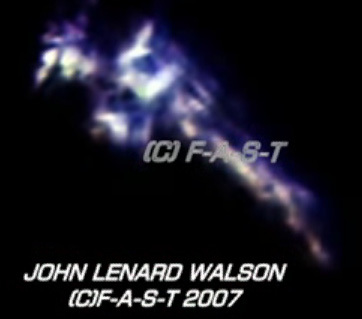 All images and videotape footage ©2007-2008 by John Lenard Walson. All Rights Reserved. Copying or Reproduction in any media are prohibited without written permission of Rense.com and John Lenard Walson. All text is ©2007-2008 Rense.com. Links are encouraged. What you are about to see is quite remarkable. It seems that some of the stars above us are not stars at all...as you shall see. A young man by the name of John Lenard Walson has discovered a new way to extend the capabilities of small telescopes and has been able to achieve optical resolutions - at almost the diffraction limit - not commonly achievable. With this new-found ability, he has proceeded to videotape, night and day, many strange and heretofore unseen objects in earth orbit. 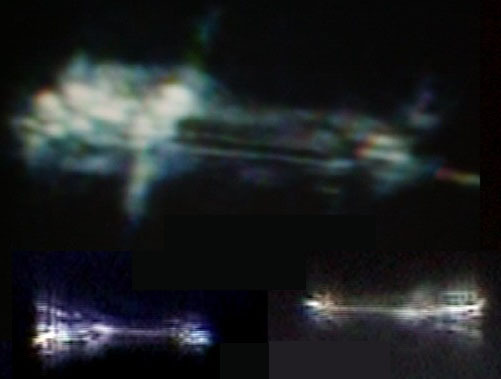 The resulting astrophotographic video footage has revealed a raft of machines, hardware, satellites, spacecraft and possibly space ships which otherwise appear as 'stars'...if they appear at all. There are, indeed, hundreds of satellites in Earth orbit as you will read in the summary which follows. However, the iamges you will see are clearly of large and sizeable machines which have not been seen before. 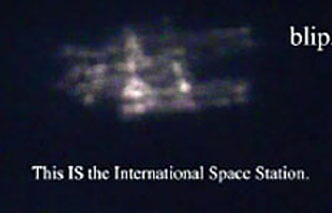 And here is the actual video footage from which the above freeze frame is taken followed by some footage of something that is NOT the ISS. What is it? So, what are these other huge machines and spacecraft? 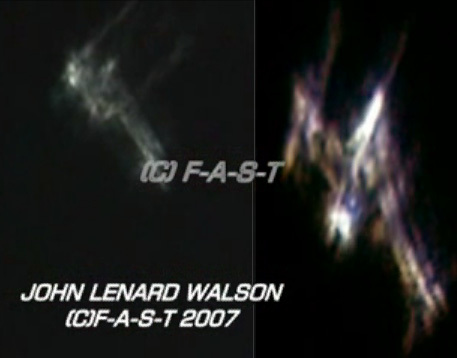 Now let's take a look at some of Walson's remarkable video footage showing satellites and spaceships (?) above our heads in Earth orbit. How Many Known Satellites Are In Orbit? How Much 'Junk'? There are more than 800 active satellites currently in orbit. Amazingly, they represent four percent of the total number of objects currently cataloged by the U.S. space surveillance network; the rest includes abandoned satellites, spent rocket boosters, and other debris. The United States owns more than 400 active satellites, just over 50 percent of all satellites. Russia and China have the second and third highest number of space assets, owning 89 and 35 satellites, respectively. Civilian satellites, which perform tasks for the commercial, scientific, and government sectors, make up the majority of U.S. satellites. Russia's space assets are split nearly evenly between military and civil missions, though there are not separate military and civilian space programs. Only a very small percentage of other countries' satellites are military in nature. Uses for Satellites Approximately two-thirds of all active satellites are used for communications. Satellites for navigation, military surveillance, Earth observation and remote sensing, astrophysics and space physics, and Earth science and meteorology missions each comprise about five to seven percent of total satellites. Orbital Debris Orbital debris is any human-made object in orbit that no longer serves a useful purpose, including discarded equipment, abandoned satellites, bolts and other hardware released during satellite deployment, and particles from explosions or collisions. The table below gives current estimates of orbital debris in three size categories. As the table shows, approximately 40 percent of all orbital debris larger than one millimeter in size is in LEO. Large numbers of naturally occurring particles ("meteoroids") add to the total number of orbital objects less than one centimeter in size, but are not included in this table. Space debris: Models and risk analysis. Berlin: Springer Praxis, 96. 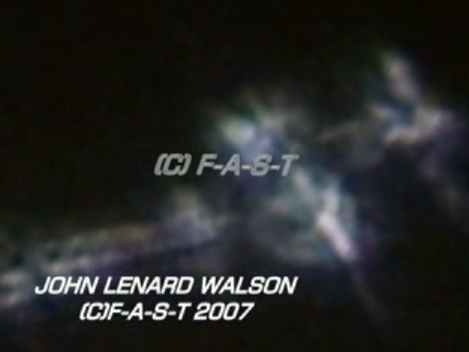 So, what is John Lenard Walson videotaping with his proprietary telescope videocam technique? 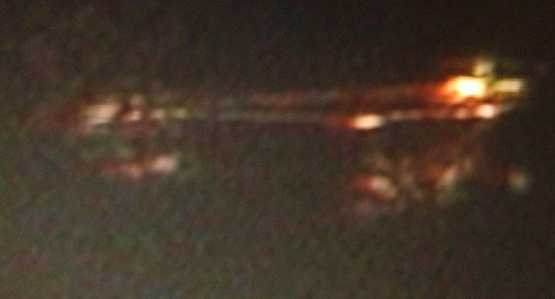 Are these just satellites and space junk? Or, are we seeing large and very sophisticated spacecraft for the first time that we AREN'T supposed to see? Next is another video freeze frame of a sunlit spacecraft shown at the top of the picture. Below it is a SECOND craft which happened to pass by at an extremely high rate of speed. John pulled a single frame from his video (at 30 frames per second) and sent it to us for a closer look. Are We Supposed To Be Seeing These Things? "Hello again. And, again, my congratulations on your superb astrophotography. MIT Lincoln Laboratory is the group which has built some of the things you are seeing. Much of what they do is what used to be the Star Wars project, which no doubt involves some of your objects." 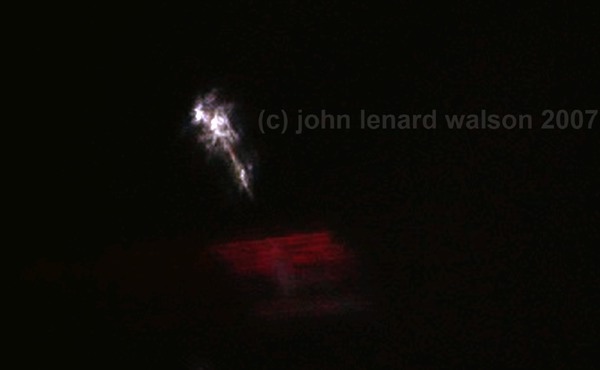 Maybe some of Walson's images ARE of sensitive, secret US military Star Wars machines. 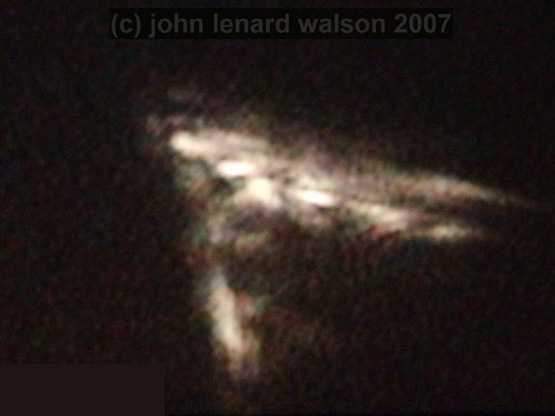 Maybe even 'secret' weapons platforms in space, which the US military has been rumored to have for at least 20 years. 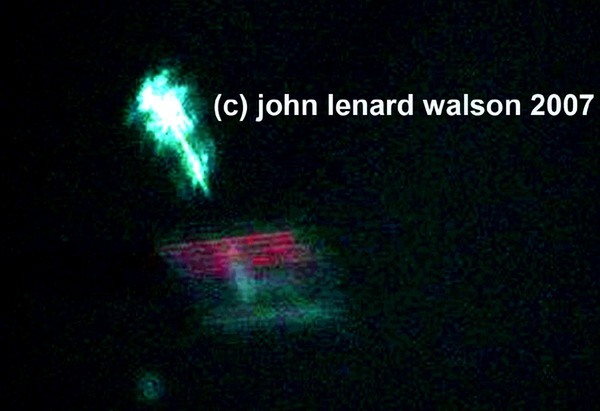 Judging by the following video footage taken by Walson at his home, it is clear he has ventured into territory that is, shall we say, 'disconcerting' to some government or military agencies who don't like him videotaping these large, mysterious orbiting machines. The result of Walson's 'impertinence' was the almost immediate inauguration of routine visits from numerous unmarked large helicopters which began regular day and night visits to his home. Here are some still frames from video John recorded of his tormentors. Pay particular attention to the huge, twin-rotor Chinook's pass right over the tree in his backyard (top right, below) to give you an idea of how serious these flights are. And how clear the message is intended to be. In summary, what you have seen are spacecraft, and maybe even space ships, parked or stationed in orbit above the Earth. It's clear the major space powers are far more heavily-invested in space than they will admit. As a reflection of that reality, there has been a lot of recent talk about 'anti-satellite' weapons 'needed' by competing countries to 'protect themselves.' Most recently, China has been discussing its anti-sat programs and even threatened to destroy or disable all GPS satellites which overfly Chinese territory.